The U.S. Army Corps of Engineers has notified officials in Seaside Park that the borough’s long-cherished dunes will – mostly – remain in place. 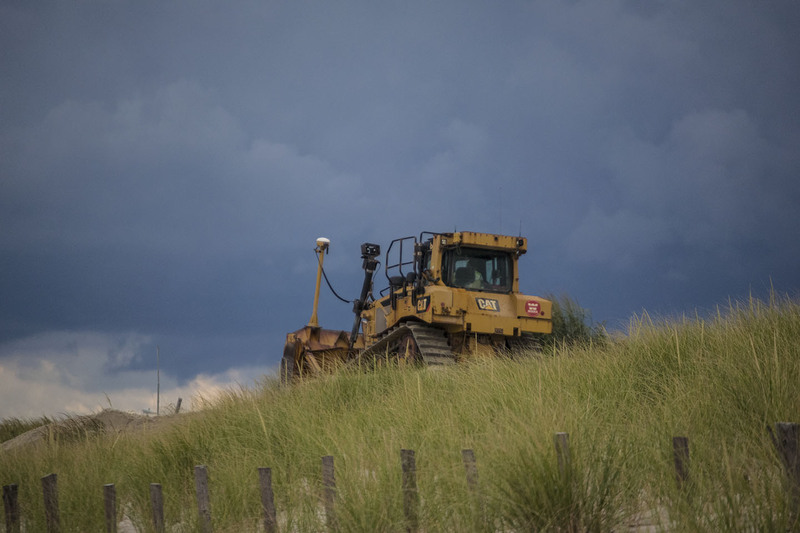 Seaside Park Mayor Robert Matthies said that the borough’s dunes will not be bulldozed and fully rebuilt by Weeks Marine, the government’s contractor on the project, as many local residents had feared. Instead, areas that meet height and width specifications will remain as they are while areas that are not tall or wide enough will be augmented. While the bulk of the opposition to the project has emanated from South Seaside Park, a portion of Berkeley Township, some Seaside Park residents lamented the fact that their long-standing dunes were in jeopardy. Seaside Park was one of the few towns along Ocean County’s northern barrier island that was largely protected by its dune system during Superstorm Sandy. In many other communites – notable Mantoloking, Brick and Ortley Beach – dune systems were not strong enough to fend off the waves and currents. In areas where the dunes themselves are not being replenished, the beach will still be widened to at least 200-feet, as it is in every other island town. As the project has moved south-to-north, the first 1,000 foot portion of duneline did not need to be replenished, and officials are estimating only about 30 percent of the dunes in the following section will need replenishment. From there, crews will rebuild dunes on an “as-needed” basis, leaving qualifying dune areas in place. The Army Corps’ specifications call for 22 foot-high dunes. 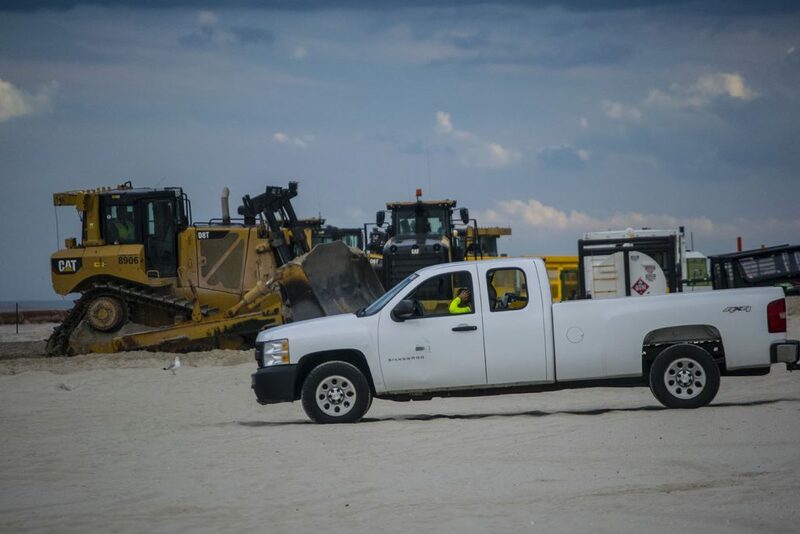 Beach replenishment observers will likely notice that Seaside Park’s portion of the island-wide project is moving quickly compared to areas in Ortley Beach and Brick Township. That is because a sepaate dredge boat, the CR McCaskill, is taking sand from a borrow site and pumping it directly to shore. The McCaskill operates at a speed about 50 percent faster than the dredge boats serving the other portions of the project. According to the Army Corps’ latest advisory, 2nd Avenue, North Avenue and Brighton Avenue beaches are currently closed. The project will move northward once those streets have been completed.